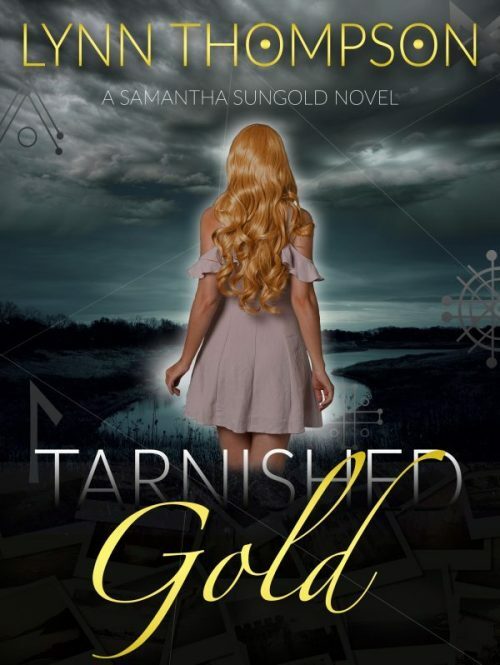 Last August I published Tarnished Gold and I was not able to give Sam a proper introduction at the time. It is now time for her debut. Welcome to Sam’s Relaunch! When Sam first met Jamie in Sterling, she was homeless, dressed in rags, and a mess. She had no memory of her parents or where she came from. Jamie couldn’t imagine throwing Sam back out on the street, so Jamie took her in and made her part of the family. Now, with Jamie gone on vacation, Sam is left to her own devices. Sam is homeschooled and suspects Drake, her teacher, and Derek, his son, of spying on her house. She would like to know why, but, before her suspicions are confirmed, Sam casts a memory spell to help her piece together her past. To add to her confusion, a gang of kids tempts her into their group. She’s never had friends – at least not any she can remember. Her self-doubt gets in the way as she struggles to figure out how to fit in. Then Sam’s life really explodes! The spell worked, and her memories are coming back at the most inconvenient times. She starts dating a guy she really likes, and she soon realizes she has too many secrets she needs to keep from everybody she knows. As Sam tries to juggle these new elements in her life, Drake continues to pile on the homework, leaving her no time for her new friends, her new boyfriend, the memories conjured by her spell, or time to figure out why Drake is so interested in her house. Will the cobwebs of Sam’s past get the best of her? Will Sam be able to figure out what is going on in time? Or will Drake get the upper hand? I couldn’t believe it! The secret room! A breath of air gushed out from between my lips. Jamie’s closet door stood wide open. Her clothes lay askew on the floor along with the hangers. The door to her secret room stood partially open, showing a hint of darkness between the crack of the wall and the frame. No wonder I could never find it. I’d never thought to dig in her closet. Why is the door open? Is someone down there? Should I venture into the dark corridor and find out what’s going on? I gazed around Jamie’s room searching for a flashlight while my conscious fought over right vs. wrong. Should I go through her stuff? I really needed a flashlight. Darkness seeped out of the closet. My steps led me to Jamie’s dresser. I would search her drawers for a flashlight. I stopped. I couldn’t do it; her belongings were private. I eyed the door to the secret passageway. I may not be able to get myself to go through Jamie’s clothes, but I couldn’t resist the closet. Here goes nothing, I thought as I walked into the black void. I followed the walkway with my hand against the wall until my eyes adjusted to the light up ahead. Every few feet a dim bulb glowed against the dark, illuminating the tight enclosure. Wow! I was actually in a secret passageway. I still couldn’t believe it. A clanking noise rose in the distance, so I slowed my pace. I tiptoed down the stairs and froze one step shy of the secret room. My gaze tripped unbelievably over the treasure from Sterling’s ship to the bones lying on the floor. Drake knelt beside one of the skeleton’s, busy pulling out a gold tooth from one of the skull’s jaws. A bag sat next to him, full of gold and silver coins, jewelry that sparkled luminescent colors spilled from the top open flap. A small chest sat beside the bag. My temper rose as I watched Drake yank out the tooth. I always knew something wasn’t quite right with him. Now I knew why? I raised my fists and screamed. The air exploded around me. Skeletons floated up, attached themselves to their skinless bodies and came to life. The now toothless corpse lurched towards Drake, grabbed his hand, and ripped his gold tooth out of Drakes’ fingers, breaking them in the process. It shoved its tooth back into its jawbone and pushed Drake aside. I stood still, watching. My heart galloped in my chest. Shock wound its cocoon around my body. Inside I was freaking out, outside I was numb. Did I do that? With a screeching whine, one skeleton broke off from the others, zeroed in on me, and starting rattling towards the stairs. Review: 5 Stars 8/8/2017 Sam is struggling, even more so now that she has a family. She’s just dealing with not remembering parts of her life. Thompson writes this story well, and in different POVs, it brings a unique look into Sam’s life. With spells and magic, and new friends, Sam is a new person. She grows as a character and has a back story that is a major part of the current story. I’m a fan of Thompson, and this book is the best one of hers that I’ve read so far.